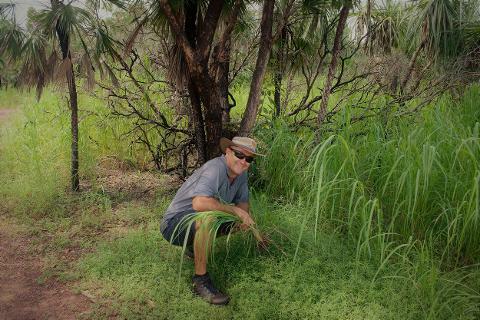 Each year fire in the NT causes massive damage to private and public lands. Most of this damage is due to the need to keep both native and introduced species of grasses under control. In the 10 years ethical adventures has been touring in Litchfield we have seen first hand the adverse impacts of this fire regime on biodiversity in the park. Limited recruitment of replacement trees and shrubs killed due to fire and subsequent loss of animals within these areas is too common. 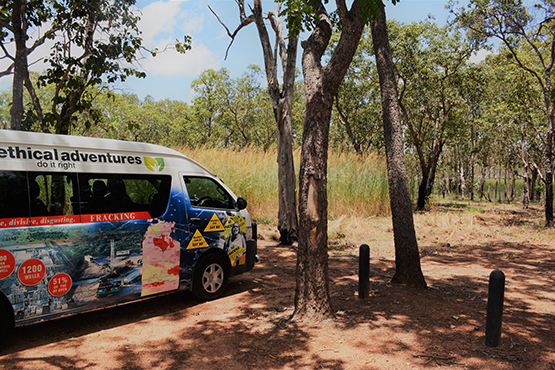 Given this background ethical adventures believes it is time that tour operators and users help park manager where they can. To this end it is our objective to attempt to manage the organic fuel load in high risk / use areas through hand removal of identified problem organic material. Doing this will decrease the need to burn these areas so regularly increasing the period between fires and combat the current rapid loss of diversity and abundance in both the floral and faunal attributes of these areas. 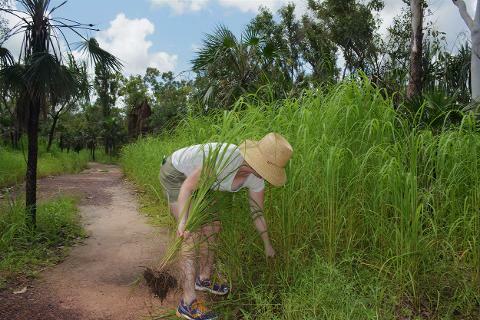 An early departure from Darwin allows an early start with the objective being to clear weeds.